I love all things mushroom! So this was one of those amazing recipes for my house. Thank goodness I made a bunch as we were super happy to eat it for a while 🙂 The best part was that unlike regular risotto – I didn’t have to stand over the hot stove and stir this dish the whole time. And of course barley is way more nutritious than arborio rice. Add the onions; cook about 5 minutes and stir in the garlic and cook, 30 seconds. Add the mushrooms; cook until soft, about 5 minutes. Stir in the barley to coat. Add the stock, salt, and turmeric and bring to a boil. Lower to a simmer and cover, stirring occasionally, until the barley is tender and liquid is absorbed. Yum! 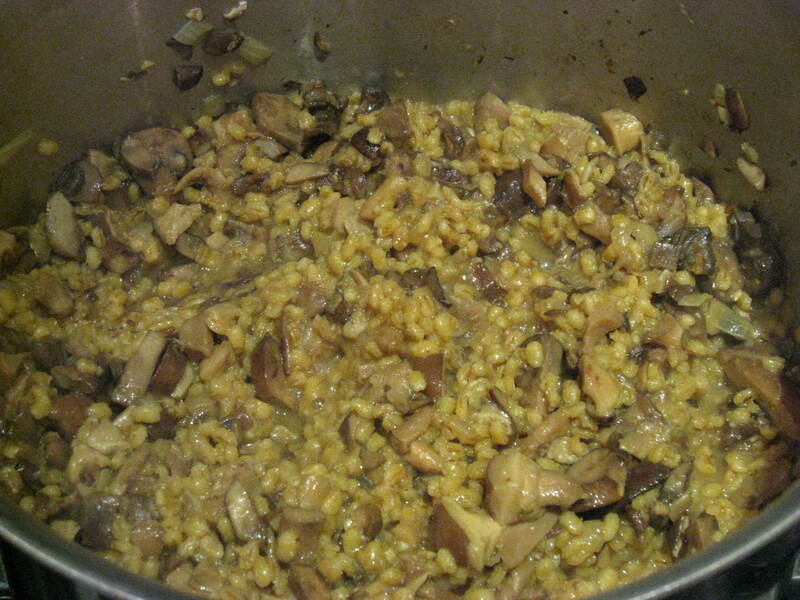 I love barley risottos, and I love mushrooms… why have I never combined them before?? I’ll definitely try this out! OMG! Just realized you work at The Yoga Factory! Please give Mik a big hug from me 🙂 I was lucky enough to surprise him last month but miss him much 🙂 Thanks Marita! then which one would you choose for main course? It’s for a birthday Lunch for one of my veggie friends, and being a carnivore myself I can’t decide – she’s requested the soup so that’s non-negotiable!! Thanks! So sweet you are making a deelish veggie birthday lunch for your friend! The soup sounds super yummy & I love that it is your signature soup. It does have an asian flare to it so the tofu dish might go well, but when I have made butternut squash with thai spices, it doesn’t typically come out that asian tasting, but yours might be different 🙂 If it has a more traditional taste I think either the tart or the risotto. 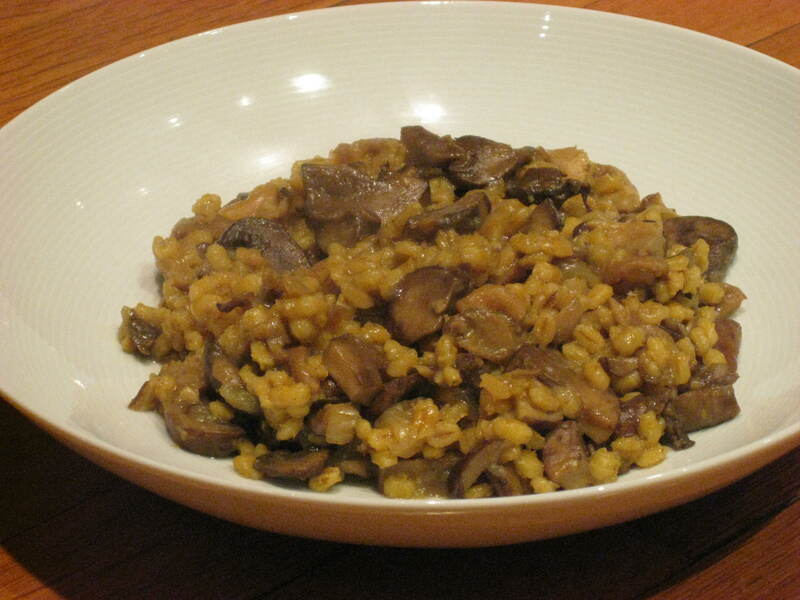 I am a HUGE fan of barely risotto with mushrooms, and adding the truffle oil makes it extra special. YUM!! that would be my pick. Have a great birthday lunch!! !